Garmin obviously took a cue from Google — no shame — with the concept that every relevant business on a largely crowd-sourced map deserves special status regarding the facts about their business, and that granting such status freely and easily can improve the data quality. So starting late next month, every ActiveCaptain Community (ACC) marina and business icon will get a Claim button that leads to an online form for ownership verification. Marine businesses will also be able to create an ACC icon, as I began to illustrate above. 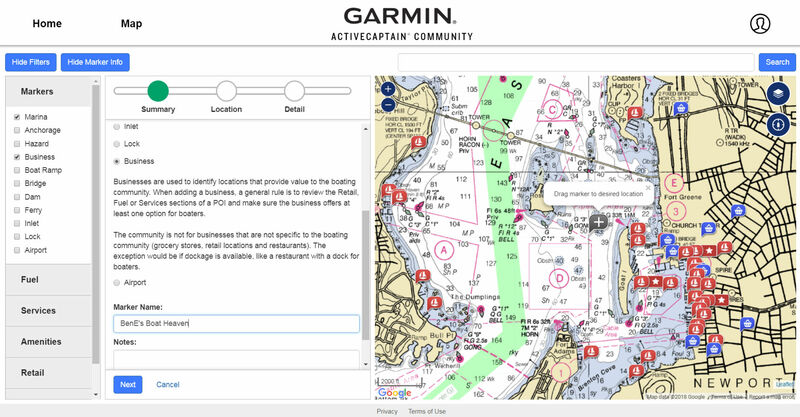 Note that when Garmin rebuilt the ACC database last May, they separated out the marine businesses that used to be under the vague Local Knowledge markers and also tried to define what “marine business” means. I asked about restaurants and they responded with “only if they offer dockage” — the right answer in my view. The “Starter” tier of the ACC business plan will be completely free, and thus an invitation to marine businesses to join the ActiveCaptain community regardless of their interest in becoming a Garmin advertising client. As you can see in the ACC Business & Advertising Tiers table at top, Starters also get to post one photograph — only accessible when the user is online, so no worries about bloated ACC data downloads — and that seems a welcome new ACC feature (that may well expand beyond marina and business markers). All verified marina and business owners will also be able to respond to comments with their owner status noted, and it looks like Garmin will be encouraging them to keep their fuel, dockage, and mooring prices up to date. Isn’t that potential for more accurate marina and business marker info, as well as more transparent handling of negative reviews? How the Standard and Premium advertising is going to look on ACC is difficult to visualize, but it does seem similar to the old AC FirstChoice program, which I did not find obnoxious. Advertisers also get to show more online photographs, which reminded me of C-Map’s often highly useful C-Marina Maps. It won’t be quite the same, but I encourage marinas to use their image(s) option for any diagram they may have showing dock and slip numbering, fuel location, etc. Garmin has not yet detailed what “affordable pricing” for the advertising means, but hopefully the bigger picture here is a concrete display of how the big company intends to monetize ACC without imposing users fees or limiting access to their own marine hardware and apps. 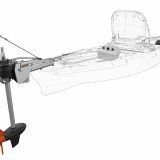 In fact, they’re arguably expanding access by bringing in marine business owners without charge, and the obvious route to increased advertising revenue is more boating users via many platforms and better information. I’m pleased to add that Garmin’s primary goal for our meeting was to hear constructive criticism, and I believe I delivered. Actually they got a twofer as Ben Stein and I discussed a bullet list at length as I drove down. Our most radical suggestion is to rename the ActiveCaptain app to reflect what it really is (and how it really shines), like perhaps “Garmin Boat All-in-One App.” We’ve both encountered cruisers who would likely be valuable members of the Community, except that they Googled ActiveCaptain, downloaded the ActiveCaptain app, and then got frustrated when it turned out to be designed for someone else. 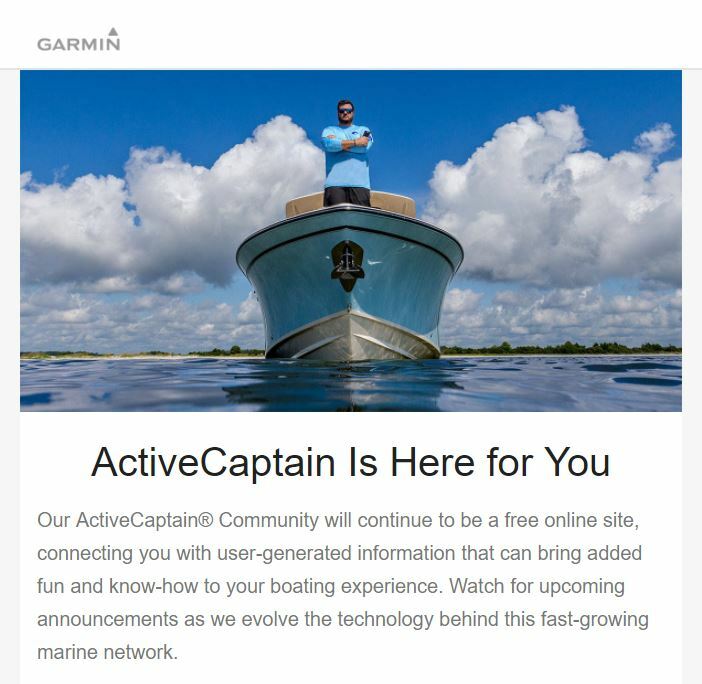 The name change probably won’t happen, but hopefully the confusing AC app description on the product page and at activecaptain.com — itself a misleading URL if Garmin really expects boaters to carefully differentiate AC and ACC — will be much better qualified. “All-in-One” turns out to “Nothing Useful” if a captain doesn’t have compatible Garmin hardware, so why not state that clearly up front? Hurumpf! And while it’s progress that the main ACC page does now link to third-party apps and plotters that work with the new ACC database, why not a table showing more detail about them (like our ongoing ACC Guide)? I also lobbied for more profile information about Captains willing to share it — which is possible, though wiping all the old profiles had to happen — as well some sort of superuser status (Commander?) based on points and/or the valuable new Thumb’s Up button on reviews and comments. Volunteer ACC local guides, as supported on other crowdsourced sites like Google Maps and Yelp, might also be good. I find that this new world of easily shared information gets richer when you can get to know and respect individuals in the crowd. And it seemed clear that the ACC developers are thinking along the same lines. In fact, I remain very optimistic about the future of ActiveCaptain — meaning the community, the database, whatever works for you — because I continue to believe that Garmin’s ideas and intentions will work out fine for boaters even if they are surprisingly inept at communicating them. PS 9/7/2018: ActiveCaptain business claiming happened as Garmin promised and it works quite well. There’s a lot of detail in the new AC Business pages, but I didn’t need it to create a (somewhat goofy) POI for Panbo’s Maine office and then claim it. I was accepted immediately (though I suppose a Community Admin could delete it) and put up a photo on my new Business POI. Pictured below is the remarkable view just beyond the glass partitions of Garmin’s offices in Yarmouth. That’s because in 1997 David DeLorme devoted what must have been a sizable chunk of his mapping company’s capital to building the world’s largest rotating globe, dubbed Eartha. Why I drove by for next 20 plus years with only an appreciative glance through the DeLorme building’s three-story glass facade, I can not fathom in retrospect. Almost as soon as I stepped inside Eartha space, it felt like much more than a big globe. If there was a cartography cathedral, the altar might resemble this. The scale imparts a new sense of our planet and where you can get in close on the ground floor, you’re apt to get mesmerized by the detailed mix of satellite imagery, shaded relief, ocean bathymetry, road networks and more. I wanted a hoverboard to peruse the northern hemisphere (though even more detailed DeLorme global mapping is available on the inReach Explorer+, the EarthMate app, and no doubt Garmin products to come). So don’t make my mistake. If you’re anywhere near Yarmouth, Maine, spend some time with Eartha. And here’s a big belated Panbo thanks to David Delorme, who also keeps Eartha open to the public today (if my understanding of the arrangement is correct). 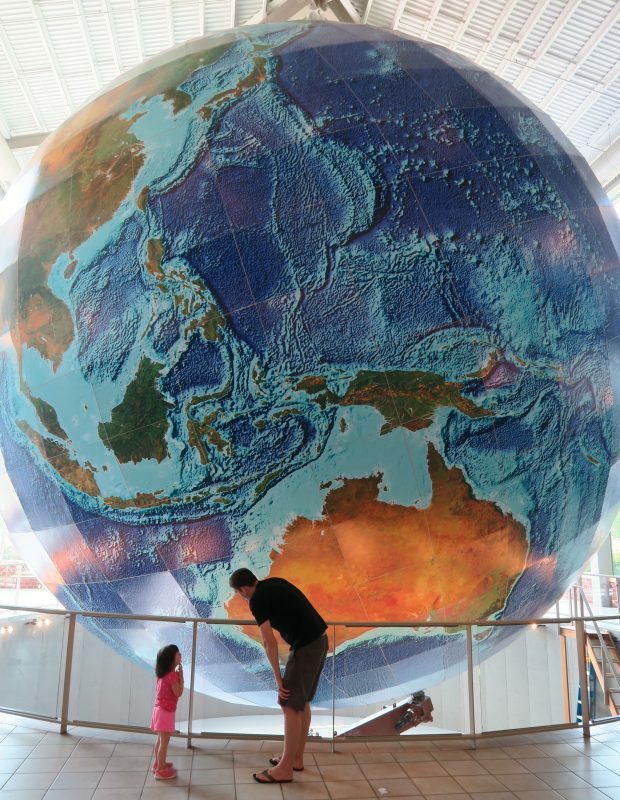 I plan to spend more time with the huge globe myself, and if it can be with the granddaughters, all the better. Ben, I understand where you’re coming from on the name change idea, however, AC and ACC have already confused many users. Change the name again and I think you might lose more participants as they become more frustrated with the Garmin AC transition. It’s a little like red fire trucks. We all know what they are and get out of the way. Paint them white or green as some communities have done and people spend precious seconds trying to figure out what the heck that is. Good or not so good, ACC already has the name recognition and Garmin should run with it. Just to clarify, I’m not advocating changing the name of ActiveCaptain Community, but I am advocating changing the name of the ActiveCaptain app. In reality, although it can display ACC info, the ActiveCaptain app is actually the Garmin MFD Companion app. If you don’t own a Garmin MFD and aren’t familiar with ActiveCaptain Community, but have just been told about it, you’re likely to hit the app store and download the thing called ActiveCaptain. Now you’re greeted with the opportunity to pay hundreds of dollars for charts and, as I’ve been told by a few people, that’s probably the end of your exploring ActiveCaptain Community. I’d love to see Garmin stick with ActiveCaptain Community for the crowd-sourced data and just sort of let the ActiveCaptain name meld back to being synonymous with ActiveCaptain Community. Ben, I was in Beaufort, NC one year when I looked at my marina’s AC listing and noticed a suggestion in its description to favor another marina nearby. I looked in a number of other AC markers in the area and found the same entry – except for the marina advertized of course. It appeared to me at the time that the AC description section had been hijacked by one unscrupulous marina. I was going to edit all of them but I contact Jeff first and that’s when I learned it was a revenue feature of AC. I had always thought that feature was odd, along the lines of “ if you don’t pay me money, I’ll encourage your customers to go elsewhere.” Of course Jeff had every right to do what he wanted, it was his company. I’m more of a positive approach guy, “here’s the reasons you should come to my marina” without an ad to go elsewhere right on the marina’s website. Was there any discussion of this point? Hi Robert. We did not discuss the specifics of “Advertise on competitor’s listing, and remove advertisements from your marker” but it looks to me like the 1st Choice advertising — or whatever they call it –is going to more transparent under Garmin. I did not have trouble with the old AC marina descriptions suggesting that I use a nearby 1st Choice marina instead because I knew that was paid for and I understand why a free resource would encourage users toward supporting businesses. But I was troubled to see such advertisers claim elsewhere that they were 1st Choice because AC chose them. That was partly true because a marina could not advertise without a 4 or 5 star rating, but not completely true because money also changed hands to get the status (if I understand how the program used to work correctly). I don’t think that Garmin intends to mix advertising with community recommendations, and that’s the right way to go in my opinion. For instance, while Panbo is a somewhat different animal, we are religious about not mixing editorial with the banner ad program. 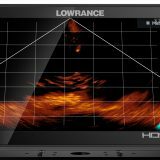 We get offers almost every day to sell links or biased “guest” entries (100% from outside the marine electronics industry) but never have and never will under my watch. I really appreciate our advertisers, and many readers do too (we know from polling), but we write for the readers. It was really easy to create that business POI and then claim it. Please give it a review or two — very negative is fine! — so I can see what the owner management tools are like. 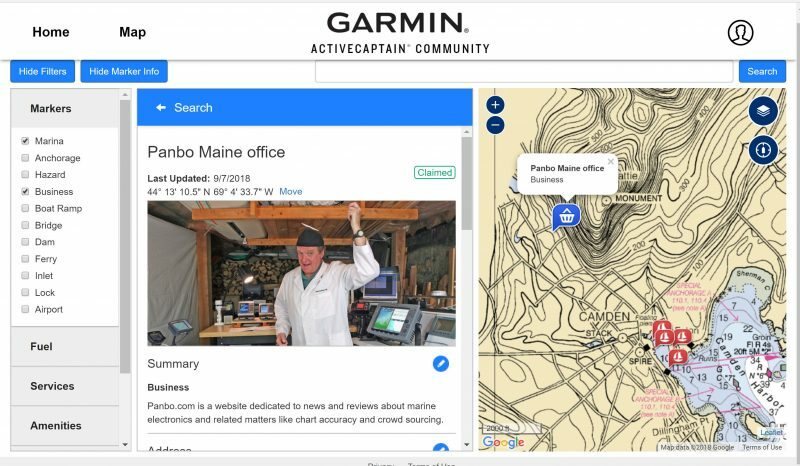 Garmin doesn’t consider Panbo’s editorial office to be a valid AC marine business — which is just fine — but they also gave me a few days to test the Premium Business features before they take the POI down. It’s impressive how easily a business can ad more photos, an “action button” and also place ads on competitor sites. Plus the ads aren’t really obnoxious to AC viewers I don’t think. Check out https://activecaptain.garmin.com/pois/520901 while you can! 3 – How can a user submit marks and poi anymore? Used to be you clicked a long time and then you had the dialogue available to put in marks. Now, it seems like all the community can do is leave a review. Not input new content. AM I missing something? Yes, editing and even deleting existing marks is offered in a better user experience. But I’m not able to *ADD* marks. I cannot add new anchorages, new hazard markers or anything. Where can the community do this on the ACC website? ACC map (but you may have to the blue “Show Marker Info” button top left to see the column first). Hi Ben – I see it now. I also see that the GPS coordinates suddenly pop up when you add or move a marker. I just cant understand why Garmin isn’t bringing back those critical and necessary aspects of old Active Captain…other than they fear that people will not buy charts. I’m still advocating people use openseamap and squidd.io as alternatives and build up the database of entrants as well as soundings so that we have real choice from a non-commercial entity in this space. Its the only way we cruisers can reclaim *OUR* data. I guess you mean route planning, Adam? It would be nice, and Garmin might still do it as far as I know, but I don’t think it was used by very many ACC members when it did work, and it could have been a lot better (including waypoint names, with import and export, would be big for me). I fear that you’re tilting at windmills. I took a look at squid.io again and the data is quite sparse, and quite incomplete anyway, in places I cruise. Same for OpenSeaMap. Plus I question your premise. I was one of the first to sign up for ActiveCaptain, but I knew right then that I was essentially giving my data collecting/recording work to a private corporation that could do whatever it wanted with it. 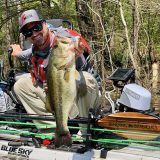 The only difference with Garmin is the size of corporation, and I do not believe that size matters when it comes to how well a business treats customers or behaves ethically. In other words, there is no ACC data to reclaim; we were always giving it away without any real assurance about its future. And frankly, probably the best way to keep ACC thriving now is to encourage and support marine businesses that use the new Garmin ad plan I wrote about above. …but that discussion almost seems quaint now given what we’ve learned since about how big data can be manipulated while we all go on merrily contributing to it. Garmin ACC seems pretty tame in comparison. Ben, as you must know, I’m a non-paid beta tester for Aqua Map. Their app is dirt cheap, $25 for a lifetime supply of NOAA charts for the US (you can buy Canadian and Bahamas Explorer charts too) with updates four times a year and display of both Active Captain and Waterway Guide icons, with full route planning, importing and exporting of routes, waypoints, and tracks, the best tides and currents display anywhere – I would think you would support its adoption over all else. Am I missing something? But personally I favor Navionics Boating for its fabulous Dock-to-dock autorouting and I’m quite fond of TZ iBoat (formerly the TimeZero app) for its beautiful charting (now NOAA raster and C-Map vector) and hi res sat photo map blending. When I cruise in earnest, I use Rosepoint Coastal Explorer on a PC for planning (with AC, good weather data, and much more), but this coming year I hope to try TimeZero PC with integration to Furuno TZT2 and NXT radar plus seamless PC/MFD route syncronization that will eventually include TZ iBoat on an iPad.